For some, "programmatic" -- display advertising powered by machine learning algorithms -- is a buzzword they cannot seem to shake. For others, it is a quintessential tactic in the digital advertising pipeline, helping to bolster ROI for their brands. In fact, 70% of marketers have reported seeing higher ROI from programmatic advertising buys than they do from traditional media outlets. Programmatic revenue is projected to account for a total of 46% of all digital advertising buys in 2018. Marketers are shifting their media budgets toward programmatic channels because it offers greater flexibility than direct buys, allowing marketers to target users at a granular level. With these quick, machine learning-driven optimizations, marketers are able to eliminate wasted media spend by ensuring they are reaching their target audience for the lowest cost. If this all sounds great, you may be wondering, "How do I decide which targeting strategies are right for my brand's programmatic buys?" When deciding how to allocate a marketing budget, the plethora of targeting options programmatic can sometimes seem overwhelming. Overwhelming, yes, but also far more effective than a "set it and forget it" campaign management strategy. Franchise marketers are able to target new prospective customers in ways that would have been unimaginable less than a decade ago. The challenge for many franchise marketers is filtering out the fluff and pinpointing the targeting solutions that will drive ROI. Behavioral, socioeconomic, and geographical targeting, oh my! When deploying a programmatic campaign, franchises will find that bounded proximity-based marketing (targeting users using location services) is the most popular targeting tactic. The use of location services on mobile devices is one of the most powerful capabilities programmatic has to offer. Through hyper-local targeting, franchisors are able to narrow in on the audience they want to reach. What's the difference between geotargeting and geofencing? Geotargeting is when your campaign is serving relevant content to users based on their ZIP code, city, or state; whereas geofencing uses GPS data to serve messaging within one particular location. Both of these tactics serve a purpose and add value to a campaign, depending on the objective. When being served ads, people yearn for personalization -- a desire to see a brand personality that deviates from the status quo and allows them to feel connected with the person or company they do business with. Personalization can come in many different forms including location-specific messaging. 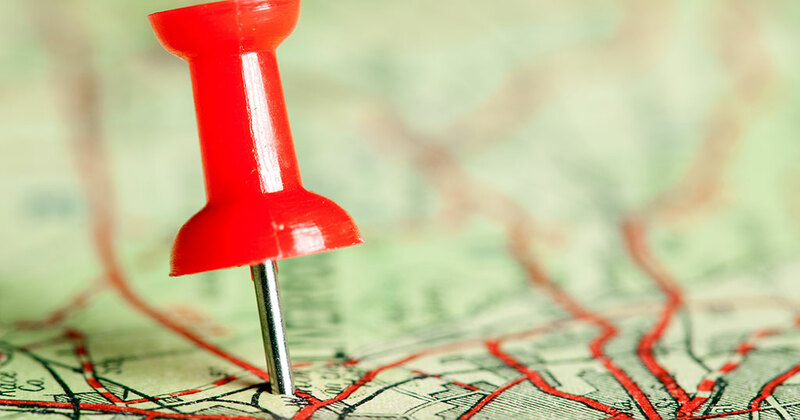 In fact, 66% of consumers want ads specific to the location they are in. Geotargeting strategies can be as broad as serving to nearby neighborhoods to increase their awareness, or they can be as narrow as sending offers and promotions to your established customers through IP targeting. In many cases, brands find success when simply setting tight radii, from 5 to 10 miles for instance, around their locations. These tactics also lend support to messaging tailored to specific areas, and adapting based on seasonal/temporal trends. For instance, if you are a local coffee franchise, you can tailor your content from iced coffee to hot coffee when there is a drop in the temperature. "Conquesting" is one of the most crucial strategies when expanding your business and growing your market share. What if I told you it is possible to serve ads for your business as people are walking into your competitors' locations? It is a tactic many companies have been using to lure customers away from their top rivals. For instance, Starbucks can serve a coupon for 20% off to users who are entering a Dunkin' location. Forty percent of consumers use their mobile phones in businesses to access or download digital coupons -- and you should make sure you are in front of them as they are looking. Even if that user does not walk out of the store they are in immediately to come to yours, you are creating brand awareness with users who are showing interest in a product or service similar to what you offer. Measuring success is the most compelling part of running programmatic advertisements. The way you measure success depends on the objective you set at the beginning of the campaign. These objectives fluctuate depending on how your store is emerging in the market. The most common objectives are awareness, direct response, and store visits. The great news is that there are ways to show metrics for each of these areas to prove whether or not you ran a successful campaign. When looking at a brand awareness campaign, the metrics for success tend to be views, impressions, and reach. The ultimate goal for awareness is making sure there are eyeballs on your ads. While this tactic might not yield instant downstream results, it plays an essential role in the holistic customer journey, sparking awareness of a new product or location, or introducing a brand to a prospective customer for the first time. For a direct response-based ad campaign, where the goal is to encourage people to order carry-out or download a coupon from the website, there are different key metrics. The key metrics in direct response campaigns tend to be instantiated through pixel tracking to measure the exact conversion, allowing brands to attribute site traffic, revenue, and store visits to marketing efforts. Some other KPIs to refer to are clicks, cost per click (CPC), cost per action (CPA), and click-through rate (CTR). Finally, the absolute goal for most franchises is to get users into your locations. Many programmatic platforms allow for store visit attribution. This attribution is based on location services and tracking the user back into the store using the geofencing technology. Programmatic spending is projected to continue its upward momentum in 2019, with early forecasts predicting a 4% lift over 2018. By partaking in programmatic, machine-driven ad buying, you can eliminate much of the wasteful ad spend of yesteryear and focus on cultivating sustainable, lifelong relationships with your customers. Nicollette Dineen was Digital Media Manager at Santy, a full-service marketing and advertising firm, when she wrote this article. Recently, she moved on to Cybba as Senior Media Manager.